Headsets with quality and features to last a lifetime. radiosport headsets are built around our experience of more than half a century of amateur radio operation coupled with the experience of more than 2 million users of headsets for aircraft, industrial, public safety, motorsports, and tactical radio systems. Since 1992 more than 2 million headsets have been delivered to those markets and their feedback has provided continual improvement in all of our products. We never stop learning and the products continue improving based on user feedback. We developed the radiosport line for amateur radio because we've been using our racing crew headsets for our own amateur radio activities. 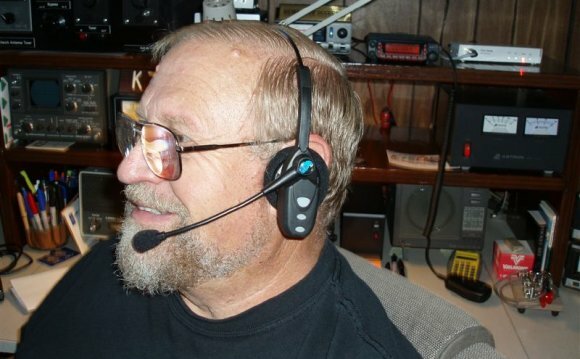 Now they are available to the amateur radio community with our radiosport headset line. The comfortable 24 dB noise reduction ear cups and muffs, quality Dynamic and Electret Condenser Mics matched for your specific radio model and features like integrated Push-To-Talk, and Volume Control. All Mic Booms feature quick change military style Mic connectors, so that mics can be matched to suit your particular radio. So whether you own a early iCOM HF radio that needs a high-output Electret Condenser Mic or the latest Flexradio SDR that needs a quality noise cancelling Dynamic Mic, we've got you covered. All radiosport headsets with boom Mics feature an industry standard miniXLR 5-pin interface jack (except our new Classic Radio Headset). This means you order a headset with a Mic for your model radio, and then order an appropriate headset-to-radio cable. If you change radios down the road to a different brand just order the appropriate cable, or you can order cables for several of your radios (some conditions apply) so you can use your new headset on them all! Note! Our new Dual Receive (stereo) RS60CF Boom-Mic Headsets use an new standard 6-Pin miniXLR interface for the Headset-To-Radio cable. These new headsets were built specifically to match modern dual receive/dual watch/dual diversity receive capable HF rigs. Whether for DXing, contesting, field day, or casual everday use we think you'll agree radiosport headsets have the features you want. for all headsets except the RS20, and the RS200CR which come with headset to radio cables. Headset-To-Radio cables must be ordered for all other headsets. Cables are available for HF Fixed, VHF/UHF Mobile and Handhelds. External PTT Switches are not required as our radiosport headsets come equipped with an integrated PTT on the headset cup.